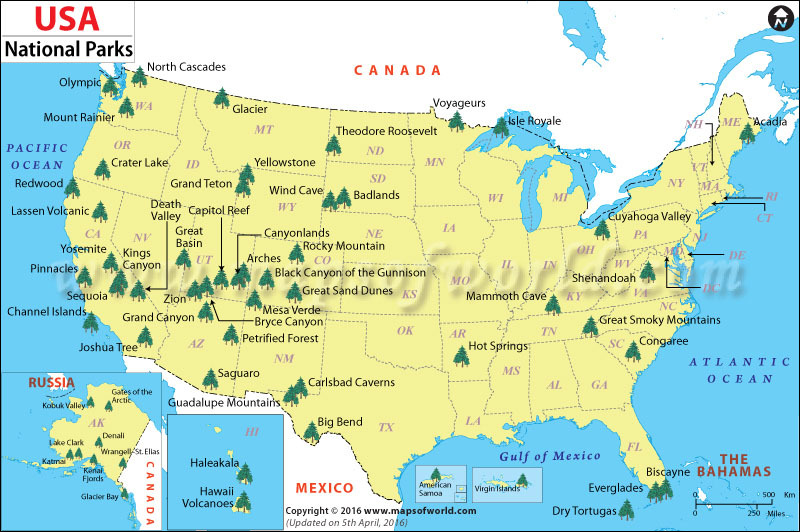 All 59 National Parks? Why? We are blessed to have such variety and natural beauty in the USA. The most beautiful sites are preserved in the 59 National Parks. This is one of the best ideas for the common good – to preserve and share the beauty of our country. My wife and I love natural scenery and hiking but our busy life only allowed us to visit a handful of national parks. The ones we visited, such as Yellowstone, were spectacular and we’ve always wanted to see more. I was contemplating retirement in the spring of 2016 when the idea of visiting all national parks popped up in my head. I’ve always been one for lists and this is a great way to see the USA. Retirement will give us the time we never had to see the country. The story started on a rainy Monday in June. The drizzle was constant and the air smelled musty. There were only 3 other cars in the visitor center parking lot when we pulled in. The place feels serene and lonely. What will we find? We were on a short vacation, visiting friends in South Carolina. Congaree was the closest national park to our home in North Carolina, yet we have not visited it. On a whim, we decided to take a short detour and visited this little known national park. We were at the visitor center when I saw it… just sitting there, in its plastic protective cover, begging me to pick it up. 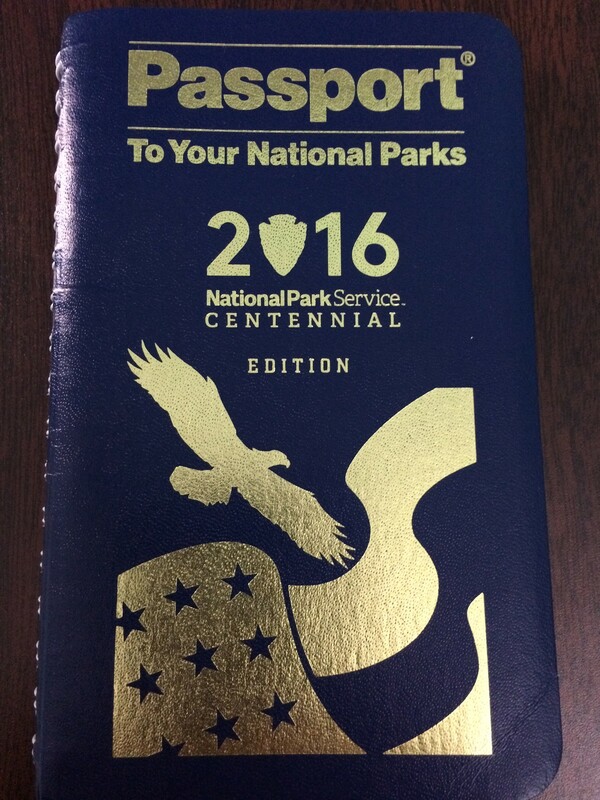 The “Passport To Your National Parks” is calling me, and it was the centennial edition! “I dare you to fill me up with a stamp from every park, all 59 of them.” it called out. I could not resist, listened and decided right then and there, at the Congaree visitor center, to make this a goal in retirement. I vowed to collect the stamps from all 59 national parks in the USA. This was not an easy goal. National parks span from the National Park of the American Samoa to Virgin Islands National Park, a distance of 7,545 miles. Some have no roads or facilities, like Gates of the Arctic National Park. They range from the huge (Wrangell-St. Elias in Alaska with over eight million acres, larger than any of the nine smallest states), to the tiny (Hot Springs in Arkansas at less than 6000 acres). Some are very popular (Great Smoky with more than 10 million recreational visitors in 2015) while others are barely visited (Gates of the Arctic with just 10,745 recreational visitors in 2015). Why visit all National Parks? Because it’s there. Because it’s calling me. Because I have a fetish to complete lists. Because they are all different and unique. Because it’s good for the body, mind, and soul. Thus, on that rainy, damp Monday of the National Park Service Centennial year, began our journey. It’s an unlikely place to get the inspiration to start this journey. After all, it’s one of the least known National Parks, yet it held that magic that is common to all National Parks. This journey is not a race. We won’t do it in 59 weeks or even a couple of years. We will enjoy the journey as much as reaching our goal. The goal is to visit all 59 official National Parks (not the 413 places managed by the National Park Service). This blog chronicles our adventure. I plan to share the inspiration gained at each park and my thoughts on them. We won’t be the first or the last to do this, but we expect to have fun and be inspired. Come and take the journey with us. Leave a comment below. Don’t forget to subscribe via email — I promise no spams and I won’t share your email address.